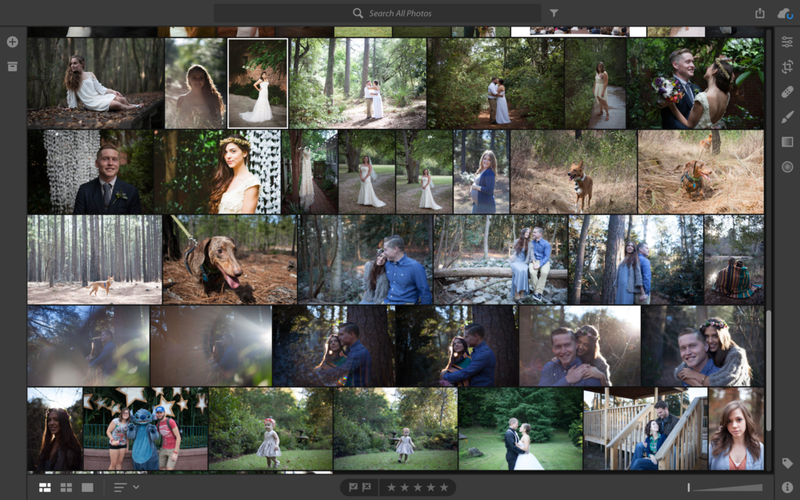 After more than a decade of the same UI design, Adobe released an all new Lightroom yesterday. Merging their mobile version and the desktop into one seamless experience, the new Lightroom has brought all kinds of discussion and debate amongst photographers. Adobe seems to be aiming to create a more fluid, easier to use photo editing app, going as far as to take away some important editing tools that many photographers rely on, professional and amateur alike. But time will tell if those features and more are added, or if Adobe sticks to the new philosophy of having a somewhat basic program for editing and pushing users towards Photoshop for heavier and in-depth adjustments. Perhaps the most important feature in the new Lightroom CC is the cloud integration. Everything you do in Lightroom is immediately synced to Adobe's cloud, including your photo files and any adjustments you make. This lets you start editing on one device and pick up right where you left off on any other device, including phones and tablets which also received the new version of Lightroom. Adobe is doubling down on this feature, including 20gb in the monthly Photography CC plan, or 1tb of storage for $5 more. Of course, for professionals or anyone who shoots a lot, even 1tb isn't a lot of space these days, but of course Adobe is happy to sell you even more space for an increased monthly fee. The library view is much the same as before, with familiar layouts but stripped down tagging tools (no color labels, for instance). The ai powered search bar at the top is another cloud enabled feature; Adobe hopes it will be smart enough for you to rely on as a sort of personal assistant for organizing and finding your photos. It will analyze every photo in your catalog and should be able to find them based on any relevant search terms. The first thing you might notice in Lightroom CC is that your hotkeys are all different or missing. For starters, G takes you to a grid view for your photos and E takes you to the editing view (previously called the Develop module). If you're missing a histogram, press ctrl/cmd 0. The edit panels work the same as always, with a lot of sliders that function in a non destructive editing manner. You don't have to worry about any adjustments being permanent on your files, just play around with everything until you're happy. Taking a quick look down of the editing panels, you'll notice that most of the usual tools are there, sometimes in a new place (clarity is now under effects with dehaze, for example), but some are outright missing. There is no tone curve tool, despite Lightroom CC running the same editing engine. There is a current work around if you rely on tone curves for your editing; presets can still apply tone curve adjustments, but you won't be able to edit the curves any further inside the new Lightroom. Camera profiles are also missing, but the same work around works for them as well. This is a massive oversight from Adobe, and will push professionals away from adopting the new software because they are critical tools for fine control over your photos and edits. Despite these missing elements, the new editing tools will be easy to grasp and adjust for new photographers, Adobe's clear goal with the redesign of Lightroom. The entire process of saving photos from Lightroom to your computer has changed. Instead of an export dialog box, you simply select the arrow icon on the top right of the program and save the photos to your hard drive. There are very few settings here, only location, file type, and size. This follows the way most photo apps work on mobile, just a very simple save to drive process. This is a major disappointment. The export settings for resolution, sharpening, and dpi were critical for both print and web use. A lot of photographers are excited by the new facelift Lightroom got, but a lot, myself included, are weary of the direction Adobe seems to be taking the software. Taking away so many vital controls for editing and processing our photos in the name of simplicity for amateurs is not catering to their core market. They could have implemented the new design without removing the powerful tools included. The Lightroom-lite approach only holds photographers back, instead of empowering them with the tools necessary to create great work. Luckily, the old version of Lightroom was also updated with some new tools and performance improvements and renamed "Lightroom Classic". Adobe seems to be signaling that this will be the last update and version of the classic Lightroom, with support being directed towards the new version from here on out. Hopefully they will listen to the concerns and wishes of millions of photographers who rely on this software and don't try to push them to a dumbed down version for the sake of selling expensive cloud storage plans. If you enjoy our content and want to support the site, check out our premium presets like the Lightroom Zen Film pack, available now for a limited time sale price. You'll get more than 100 presets to create real film style edits and amazing photos.